Take your tropical holiday to the next level! Be ready for an ultimate island adventure, an immersive experience unlike any other. Our island expedition is the best way to experience the natural beauty of Palawan and our culture. This includes camping under the starry night sky and special trips to uninhabited islands surrounded by crystalline waters, rich marine life, and fine white sand. If you crave for an authentic experience, then this unique island adventure is for you. Immerse yourself in the lives of the locals who will take you to remote destinations. It’s a complete Palawan experience that you will remember for the rest of your life. 3 days of relaxing on deserted beaches, eating home-cooked local dishes, and watching the sunset. Swim in the clearest waters and witness the underwater world teeming with life. This is an opportunity to get that much-needed solitude and unplug from the matrix of modern life. 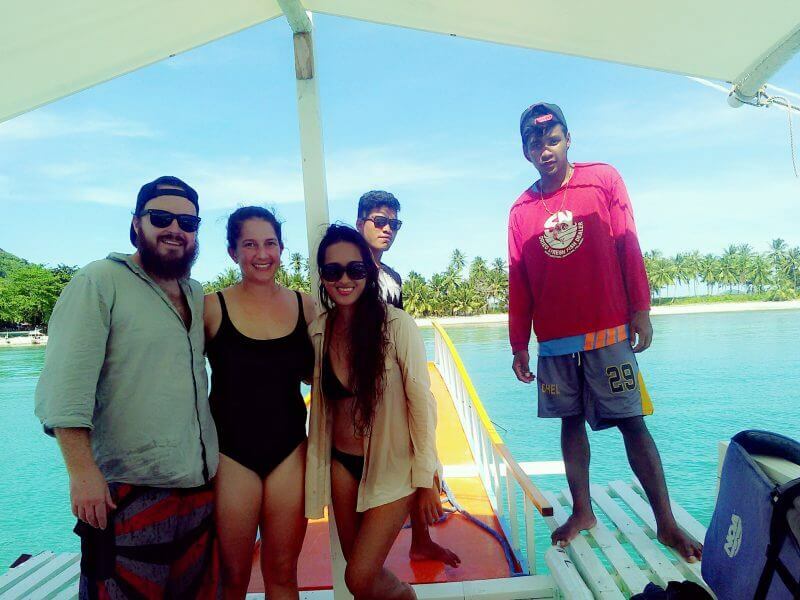 Please see: Alternative Palawan Island Expeditions: Why Book With Us? Be forewarned that this adventure is not for those who are looking for a resort-type comfort. 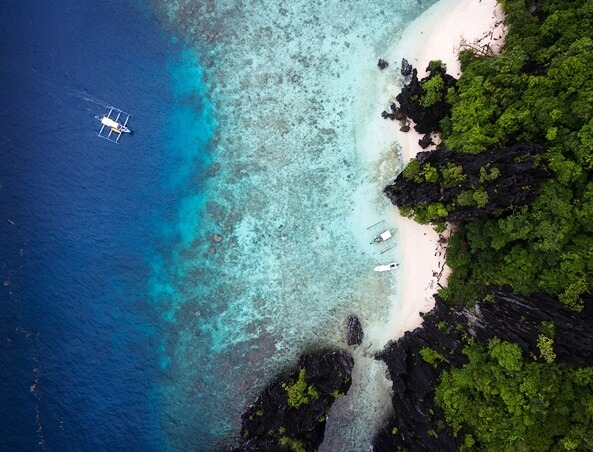 This is for those who want to get more than just the El Nido island-hopping tour. 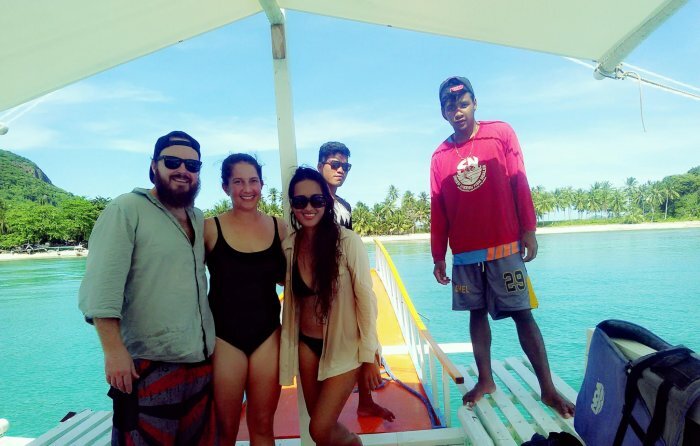 This is a unique Palawan experience for those who are willing to step out of their comfort zone, those who are open to new life experiences and those who want to make the most out of their travel. The cool northeast wind can be experienced between November to February when there’s moderate temperature. You can take the Palawan island expeditions during this time if you want cooler breeze and less crowd. However, the sea conditions may vary. You may experience slower boat travel due to rough seas or big waves between the Linapacan islands and Coron. 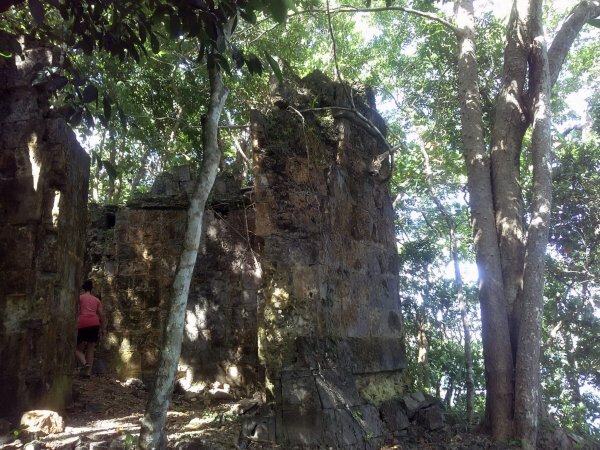 The ideal time to take the island expeditions would be during the high season which is from March to May, just expect unforgiving summer heat, lack of wind, and a crowd of travelers. A local family from the Linapacan village operates our island expedition for a more authentic experience. The boat owners are hands-on so you can expect that everything is done with passion. We are not a big travel agency nor a corporation running popular island expeditions in Palawan. We only support family-owned small businesses so you can be assured that the money you pay for the trip goes to the local community and helps the livelihood of the locals. The expedition leader, the chef on board and the boat crew all work hard to make sure that you have everything you need such as tents, sleeping equipment, mosquito nets, pillows, sleeping mattress, fishing gear, complete meals, drinking water, snorkeling gear or anything that will make you feel content and comfortable all throughout your trip. The realities of island life should be expected, rough seas, oppressive heat, pesky insects, crowing roosters, unpredictable weather, sunburns, barking dogs, jellyfish stings and the lack of privacy at times. Everything is part of the experience because this is supposed to be an adventure. If you can handle the uncharted journey, then you will surely be rewarded with hidden natural wonders and beautiful moments you will never forget. And this is not just about the place, this is more about the people in it. Our island expedition is the alternative to the popular island expedition parties with loud karaoke singing and heavy drinking. We only take small groups of leisure travelers as we believe in the old adage – less is more. As part of our sustainable practices, small groups mean less environmental impact. We prefer individuals who like to enjoy nature more and learn more about our culture. This is not just about visiting remote islands, it’s about changing how you see it. By the end of this trip, we hope that you’ll bring home with you priceless memories, new perspectives and a greater understanding of our culture. We will take you on a journey from El Nido to the Linapacan Islands and Coron by a well-equipped traditional Filipino boat called “Bangka“. This 3-day Palawan island expeditions can also be done in reverse if you are coming from Coron to El Nido. The actual journey starts when you arrive in El Nido. The night before the trip, we will visit you at your hotel and brief you about the island expeditions. We will pick you up the next day at around 8:30 AM to take you to San Fernando by van or “tricycle”. It takes around 45 minutes to 1 hour to get to the pier from El Nido. From here, you will take the boat to the first island in Linapacan. The journey will take around 1 to 1.5 hours depending on the weather and sea conditions. Our Palawan island expeditions can be tailored to suit your interests and needs. Our typical itinerary combines the best adventures: snorkeling, hiking, historical tour, kayaking, and cliff jumping. 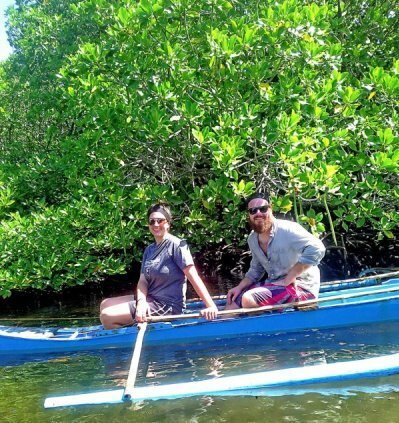 This is an action-packed trip and one of the most unique Palawan experience there is! Every day would be different so there’s absolutely no room for boredom. Note: The highlights for this tour might vary depending on the weather and sea conditions. There would be tropical treats and some icy drinks along the way. And you’ll also get to gather fresh ingredients from the island along with your seasoned local chef. He’ll cook healthy meals, fresh seafood or whatever you prefer. Make sure to let us know beforehand your dietary requirements or food preferences. We will begin the journey to Coron which may take around 3-4 hours depending on the sea and weather conditions. English-speaking expedition leader, chef and boat crew. All entrance fees and government permits. Make sure to bring your own towels, change of clothes, swim attire and your own snorkeling gear. And please let the guides know if you cannot swim, there are life vests available on the boat for everyone. Maintain a 3-meter distance from the reef. Please help preserve the beauty of Linapacan’s marine life by not touching or stepping on the corals while snorkeling. There are dangerous organisms that thrive on the coral reef. How to Deal with ATMs Not Working in El Nido?